Edit Note - Dec. 01, 2014: This post is not to be confused with my other post "World's Tallest Statue of Virgin Mary" which I have posted today. I have also edited the title of this post to read as "World's Tallest Statue of Virgin Mary with Infant Christ". Notice the subtle difference, this statue is of Virgin Mary with Infant Christ in her hands while the other statue in Trujillo, Venezuela is of Virgin Mary alone. World's tallest statue of Virgin Mary with infant Christ is located in the town of Haskovo, Bulgaria. 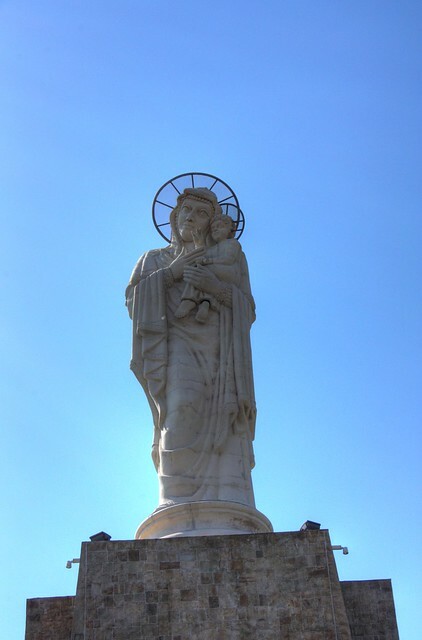 Officially known as 'Monument of The Blessed Virgin Mary', the statue which shows Virgin Mary holding infant Christ in her hands, is 14 metres (46 ft) high and stands on 17 metres (55 ft 9 in) high pedestal. Inside the pedestal is a small Bulgarian Orthodox Chapel resembling an ancient church and also features a stone altar. Virgin Mary is the patron saint of the town and the monument was dedicated to her on the feast of Nativity of the Virgin on September 8, 2003. It was listed in 2004 Guinness World Records as the tallest statue of the Virgin. The monument is now a major symbol and tourist attraction of the town and is one of the the 100 Tourist Sites of Bulgaria. Thank you Daniela for the information. My information was based on Guinness World Records. 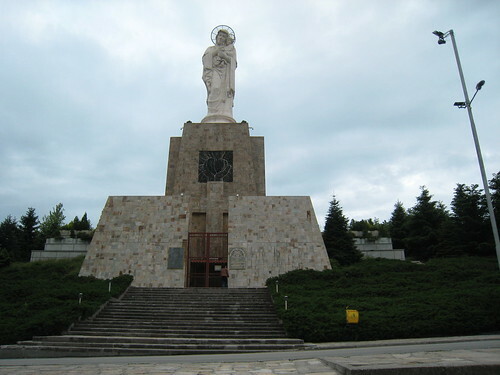 On re-reading I realise the the Statue in Haskovo, Bulgaria is tallest Statue of Virgin Mary holding baby Christ in her hands, where as the Virgen de la Paz statue in Trujillo, Venezuela is tallest Virgin Mary statue in the World. I will update my post shortly. I want to share with you what we are constructing here at Montemaria, Batangas City, Philippines. Please visit our website: montemaria.com.ph to see the 96-meter tall Mother of All Asia Tower of Peace. You can also visit https://www.facebook.com/montemariabats/.